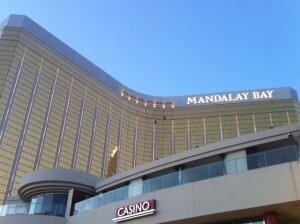 The sixth annual Vegas Uncork’d kicked off once again up and down the famed Las Vegas Strip. It began in high style with Wolfgang Puck hosting an intimate lunch with Bon Appétit Editor in Chief, Adam Rapoport at Spago to celebrate its 20th anniversary. Wolfgang Puck himself served up palate pleasing delights of Austrian White Asparagus Salad, Grilled French Sea Basses Loup De Mer and Strawberries & Cream that put a smile on everyone’s face. Wolfgang was not done yet as he joined fellow chefs from Bellagio, Caesars Palace, The Cosmopolitan and Mandalay Bay at the Caesars Palace fountains to officially mark the beginning of Vegas Uncork’d. The crowds enthusiasm bubbled over when Wolfgang Puck sabered off a bottle of Mionetto Prosecco marking the traditional official start of this culinary weekend full of all-stars. As the sun began to set , many of the Celebrity Chef kitchens at Caesars Palace heated up with several Master Series Dinners where Guy Savoy, Bobby Flay, François Payard, The Pellegrino Family at RAOs and Michel Richard served up signature dishes to impress the guests. In addition to the mouthwatering Master Series Dinners, Vegas Uncork’d literally took it to the streets when 15 of Las Vegas’ food trucks arrived in formation on Bellagio’s Hidden Drive for their inaugural “Follow That Food Truck “ event. The numerous guests enjoyed delicious treats from their favorite Food Trucks while mingling with world-renowned chefs Julian Serrano, Michael Mina, Jean-Georges Vongerichten and Todd English. The second day of this culinary parade of all stars began with first year participant, The Cosmopolitan of Las Vegas and what a way to start ! A Paella Lunch at Jaleo where Chef José Andrés showed why he is a master in the kitchen as he schooled the audience on how to prepare paella on a wood-fired paella grill which happens to be the only one in the U.S.
Just down the street at the Bellagio, Raj Parr, Mina Group’s Wine Director, Jason Smith, Master Sommelier and Bellagio’s Wine Director, and Carlos Splendorini at My Favorite teamed up to to take their guests on an adventure to be remembered. They started with The Violet Femme, a dish with Encanto Pisco, Crème De Violette, honey and lavender; Then a tasty Hamachi Crudo, a sake-cured cucumber with sea bream emulsion paired with Yoshinogawa Winter Warrior Junmai Ginjo Sake and then a succulent Liberty Farms Duck with Stewed Rhubarb and Foie Gras Kumquat paired with Au Bon Climat Sanford & Benedic;, This adventure on a plate did not end until the guests were treated with a Passion Fruit Panna Cotta with a Coconut-Lime Sorbet paired with Kracher Cuvee Beerenauslese. Vegas Uncork’d was just getting up a full steam and headed into the afternoon. 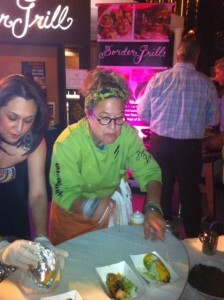 Mandalay Bay got into the act with Border Grill’s Mary Sue Milliken, Susan Feniger and Executive Chef Michael Minor putting on a Southwestern show of world class expertise they are known for. Starting with a spicy Cucumber Jalapeño Margarita , the chefs launched their cooking demonstration by serving a Smoky Bean, Bacon And Avocado Tostada, Tomatillo Glazed Ribs with Esquite and Churro Tots. Vegas Uncork’d is not just about world class Chefs and their works of art but also wine as well. David Lynch, Bon Appétit’s wine editor, and Raj Parr, taught a sellout crowd how to pair affordable wines with elevated menus. Five wines ranging from moderately-priced to “break-the-bank” were served during each of the four courses prepared by Chef Michael Mina. 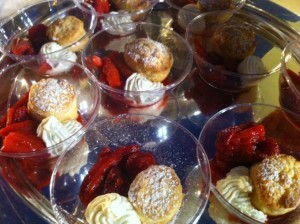 With all of the great events offered at Vegas Uncork’d , the crown jewel is The Grand Tasting . 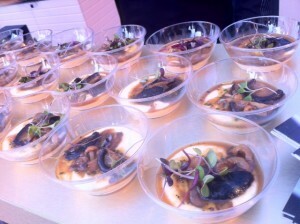 This year’s Grand Tasting appealed to a sold-out crowd of 2,500 and transformed the Garden of Gods pool into an epicurean paradise of delight. It was a foodie heavenly dream to mingle with Celebrity Chefs like Gordon Ramsay, Todd English, Francois Payard, Nobu Matsuhisa, David Myers, Bradley Ogden, Charlie Palmer, Rick Moonen, José Andrés and Guy Savoy and Scott Conant . The party continued on into the early morning hours at The Cosmopolitan with the Celebrity Chef Poker Tournament at The Boulevard Pool that featured sliders from STK, signature cocktails from Mixologist David Myer’s and tunes by Mia & Caitlin. Guests and chefs including Rick Moonen, Susan Feniger, Jean-George Vongerichten, José Andrés, Bruce Bromberg, Scott Conant and Stephen Hopcraft showed off their poker faces at the lively tables Two Hours later , Mario Disi, General Manager of Scarpetta, emerged as the winner and Andrew Knowlton, Bon Appétit’s restaurant and drinks editor, followed as a runner-up. All prize winnings were donated to Communities In Schools, Opportunity Village and Vegas Roots Community Gardens. 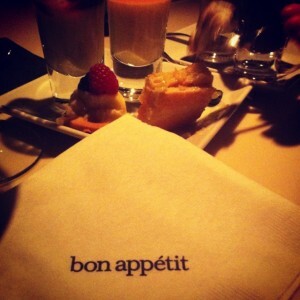 After a late night , guests got some sleep and started along Bon Appetit’s epic culinary road up and down the strip. Chronicles of A Couple That Cooks Together at Bellagio’s Prime was an excellent choice as guests were treated to a tasty meal served by renowned Chef Jean-Georges Vongerichten and his wife Marja, host of Kimchi Chronicles on PBS. They started us off with Herbed Mung Bean Pancakes and continued on with the main course of Kobe Ribeye “Bulgogi” style with Kimchi fried rice and finished with a Passion Fruit Sunflower, complete with crisp meringue and a decadent vanilla pastry cream. Estiatorio Milos at The Cosmopolitan joined in the culinary parade as guests joined Chef Costas Spiliadis for the At the Fish Market with Costas Spiliadis to share secrets of healthy eating through a Mediterranean diet. Everyone’s sweet tooth was exquisitely satisfied by the sweet temptations of pastries and desserts at Payard Patisserie & Bistro at Caesars Palace and Chef Francois Payard, where he shared his masterful s skills and techniques with his guests . A great way to celebrate after some great cuisine is with good company and cocktails. The Cosmopolitan of Las Vegas was the place to be as guests enjoyed an endless flow of high-end cocktails with Bon Appétit Restaurant and Drinks Editor Andrew Knowlton, nationally-renowned restaurateur Scott Conant and Cosmopolitan mixologist Mariena Mercer. One of the highlights was “The Libertine” made with Maker’s Mark 46, rosemary syrup, lemon juice, maple syrup and egg white and the “Verbena” made with Milagro Silver, ginger syrup and Yuzu Sour. 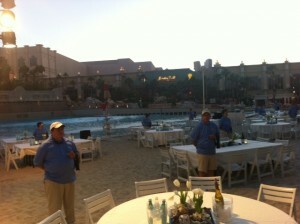 For the beach bums there was a clambake like no other we have see. As waves crashed on the Mandalay Bay Beach shore and the stars came out in full glitter , guests were treated to live music and an OPI nail station as they enjoyed world class cocktails and of course fresh seafood from Chefs Charlie Palmer, Rick Moonen, Mary Sue Milliken and Susan Feniger. After spending time on the beach it was time to end the day with a view from the MIX rooftop lounge at THEhotel at Mandalay Bay for an After Hours party . 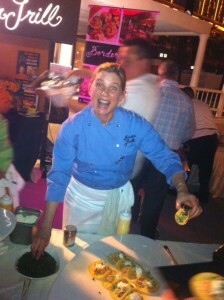 Guest partied the night away s alongside Chefs Rick Moonen, Charlie Palmer, Mary Sue Milliken, Susan Feniger and many others. The dance floor was vibrant as guests danced the night away with beats spun by Chef Keller himself and DJ Freaky le Freak. Cocktails continued to flow alongside a selection of tasty bite-sized desserts such as cotton candy, chocolate lollipops and mini dessert tarts created by Chef Alain Ducasse, Chef Hubert Keller and Mandalay Bay Executive Pastry chef and Master Chocolatier Vincent Pilon. Vegas Uncork’d falls over the Mothers Day weekend and rightfully so , Mothers are held in high regard On Mother’s Day,guests attended a Sparkling Brunch with Guy Savoy and were treated to very exclusive menu by the famed Michelin-starred restaurant at Caesars Palace. What a better gift for the Moms in the house as they were beyond thrilled to meet a world-renowned chef , free flowing champagne and an unforgettable menu . 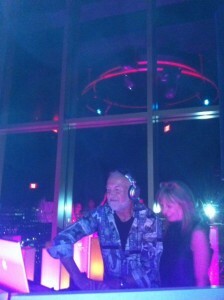 Yet another Vegas Uncork’d is in the history books and this one has been the best thus far. This 4 day celebration features a parade of culinary stars , mixologists and restaurateurs that would be very hard to match anywhere else in the world but under the star-studded neon lights of Las Vegas . Bon Appetit and its Vegas Uncork’d is held each May and we wait with forks in hand and wine glasses at the ready for May 2013 when Vegas Uncork’d by Bon Appetit will reappear like an annual comet in the sky traveling up and down the starlit Las Vegas strip . At Laetitia Estate A longstanding partnership between a winemaker and vineyard manager produces phenomenal results in and out of the vineyard. Since 1982, the Laetitia Estate Vineyard & Winery has produced elegant wines that show off the exceptional character and diversity of the Arroyo Grande Valley AVA. Originally founded by an established French Champagne house, the Laetitia estate carries on in the longstanding traditions of Burgundy and Champagne with a focus on small-lot Pinot Noir and sparkling wines. President and Winemaker, Eric Hickey, and VP of Vineyard Operations, Lino Bozzano, have cultivated a longstanding collaboration that carries Laetitia wines through from first leaf to the last bottle on the line. As a third-generation farmer, Lino Bozzano intimately understands how every nuance in the field impacts the final product. “There is tremendous diversity in this small area, from the soils to the meso-climates,” says Lino. “It's the perfect venue for understanding what site means to the wines.” Having started with Laetitia in 2004, Lino’s intimate knowledge of the 600+-acre estate includes the clonal properties, soil types and varietal composition of any given row of vines. This is particularly important for Pinot Noir, which makes up the backbone of Laetitia’s program. While it’s impossible to name any one facet of the terroir that makes Laetitia Pinot Noir great, Lino and Eric know vineyard’s soils are essential to their wines’ complexity and breadth of style. Rolling hills comprised of volcanic pumice, sedimentary shale and rich alluvial soil contribute different characteristics to each of the 57 Pinot Noir blocks. These different soils each show off their particular influences on the fruit. Notes of cola and earthy spice (volcanic soils) or bright, red fruit (alluvial) are complemented and augmented by carefully made clonal selections such as 667 (dark berries), 2A (sarsaparilla) and 115 (juicy red fruit) each show off their individuality. Laetitia is a legend in California’s Central Coast and this amazing team has put together a lovely line up of sustainable wines that are sure to impress and well worth a visit to their tasting room. For more information about Laetitia Estate Vineyard & Winery please call 805.481.1772, 1.888.809.VINE, or visit www.LaetitiaWine.com. 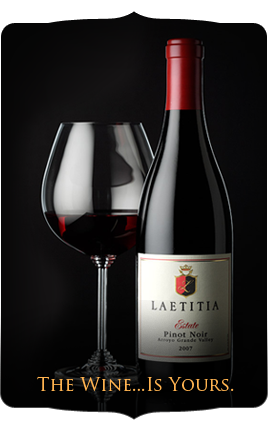 Laetitia Estate Vineyard & Winery is located at 453 Laetitia Vineyard Drive, Arroyo Grande, CA 93420. 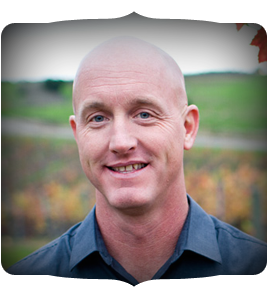 In order to understand Shaw Vineyards we have to take a look at where they are from. The Finger Lakes AVA is an American Viticultural Area located in Upstate New York, south of Lake Ontario. The AVA encompass eleven glacial lakes, but the area around Canandaigua, Keuka, Seneca, and Cayuga Lakes contain the vast majority of vineyard plantings in the AVA. Cayuga and Seneca Lakes each have their own American Viticultural Areas completely contained within the Finger Lakes AVA (Cayuga Lake AVA and Seneca Lake AVA). The Finger Lakes AVA includes 11,000 acres (4,452 ha) of vineyards, making it New York State's largest wine growing region. 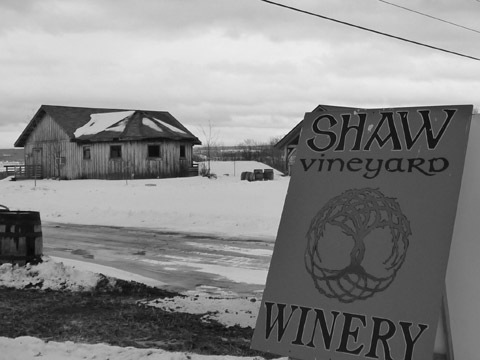 Steve Shaw founded the Shaw Vineyard label in 2002 and in 2004 built his production facility and tasting room on the western shore of Seneca Lake near Himrod, NY. 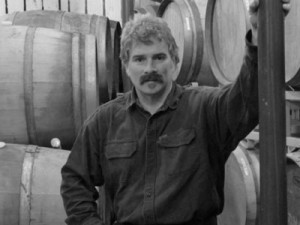 He has been a high-quality grape grower in the Finger Lakes for 30 years, contributing to the region’s growth and emergence as a world-class producer of vinifera wines. Shaw Vineyard is dedicated to the production of vinifera wines in a dry, cool-climate style reminiscent of the great European producers. 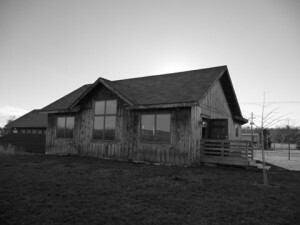 The winery grows most of its own grapes and sources the remainder from the highest-quality Finger Lakes growers. He employs careful and unique methods in the production facility, resulting in wines that are complex and full of bold flavors. A strong proponent of the theory that the Finger Lakes possesses the soil and climate necessary to produce many of Europe’s great wine varieties, Steve Shaw continues to experiment with his vineyard and his production facility, improving the quality of both his white and red wines. With a dedication to the proper aging of his wines prior to release, Steve Shaw hopes to distinguish himself in the Finger Lakes, a young wine region that shows more and more promise with the passing of each vintage. We started right away with the Libella Pinot Grigo 2010. This lovely Pinot Grigio was crisp and refreshing with surprising citrus notes. 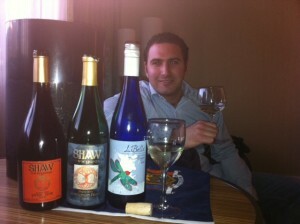 Steve stated “The Li Bella is made with the same standards as all other Shaw wines. The grapes are sourced from our Seneca Lake vineyard, and are picked by hand after extended hang time. 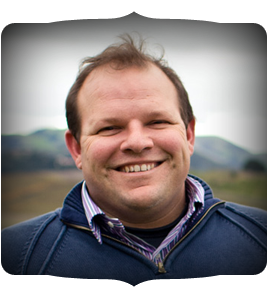 “He added “ we are excited that about first vintage of Li Bella Cabernet Fanc as well”. 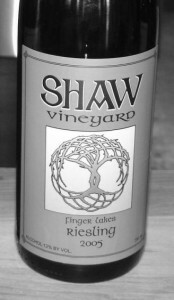 Our second wine was the Shaw Vineyard Sauvignon Blanc 2008. This jewel from Shaw is a nice example of an old world style Sauvignon Blanc. It was elegant on both the nose a palate with light, but not overwhelming grassy notes. We ended our intimate tasting with a Pinot Noir from their Shaw vineyard, 2007 vintage. We have traveled to the region often and this Pinot Noir was probably the finest example of a Finger Lakes Pinot Noir that we have tasted. From what we tasted of their line up at this intimate tasting high above the Las Vegas strip , Shaw Vineyards is “doing it right “ . 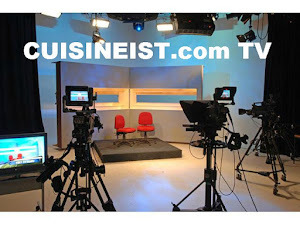 For a small winery we look for them to continue to make some big noise in the world of wine. On any visit to this beautiful region, plan to visit the tasting room. You won’t be disappointed. Its only a week away!! 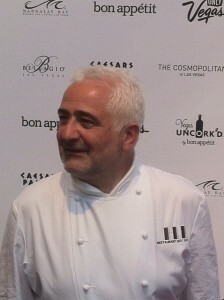 More than 50 of Las Vegas’ most celebrated chefs including legendary talents from Bellagio, Caesars Palace, The Cosmopolitan of Las Vegas and Mandalay Bay, team up for the sixth annual Vegas Uncork’d by Bon Appétit’s Grand Tasting on Friday, May 11. 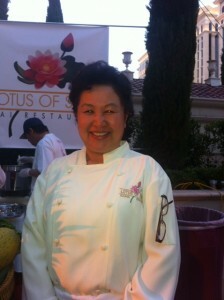 Held at the Garden of the Gods pool at Caesars Palace, the highly anticipated event highlights a staggering variety of signature dishes from culinary masters such as Bobby Flay, Guy Savoy, José Andrés, Hubert Keller, Nobu Matsuhisa, David Myers, Scott Conant, Michel Richard, Costas Spiliadis, Todd English, Rick Moonen, Charlie Palmer, Mary Sue Milliken and Susan Feniger. It also marks the first year world-renowned chef Gordon Ramsay is participating in the city’s largest and most acclaimed culinary celebration. Adding to the extraordinary line-up of chefs are two new wine and spirits elements, a Bombay Bar and a Mionetto lounge, as well as a Taste of the Forum where six restaurants from The Forum Shops at Caesars Palace including Spago and Sushi Roku showcase their specialties for the first year. 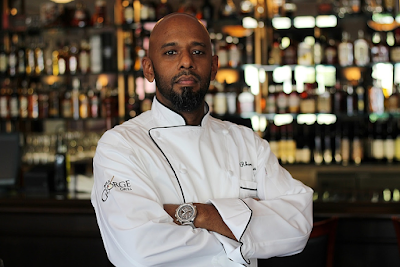 Further upping the ante, the Grand Tasting will also features delectable bites from Laurent Tourondel, Andre Rochat, Kerry Simon, Max Brenner, Emeril Lagassi and other notable talents. Space is limited for this exciting event and tickets are $200 per person. 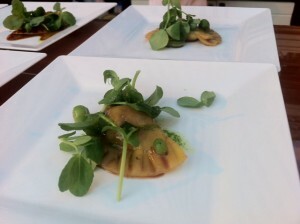 For more information on Vegas Uncork’d by Bon Appétit, tickets and full programming details, visit www.VegasUncorked.com. See you there !